Alternative Activity Holiday in France - DEVON YURTS Glamping in Style! Why not try and alternative to a yurt holiday in Devon? Journey Begins: Activities for your lifestyle, Journey Begins Ltd are a holiday solutions company with offices in the UK and Chamonix, France. 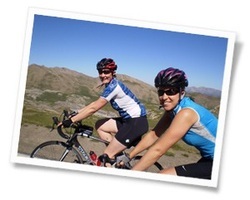 They specialise in airport transfers, summer and winter activity holidays, road cycling tours, cycle coaching and accessible activity holidays for individuals or families with physical, sensory or learning difficulties. Follow the link or click on the picture!